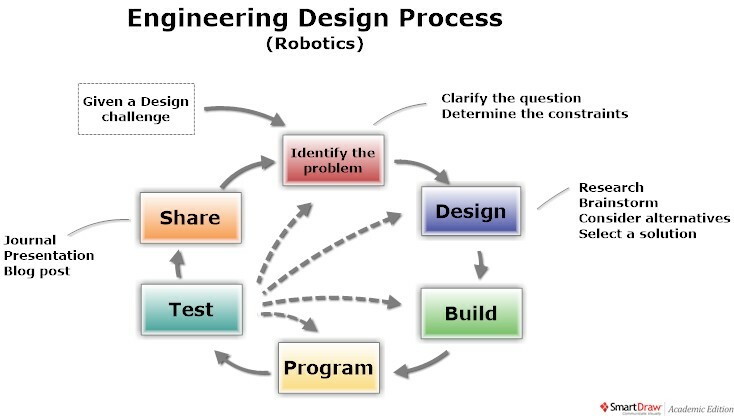 This is the first of a series of posts documenting my approach to teaching robotics in a year 11/12 Engineering Design class. The students are 16- to 19-year olds and we typically have three ~90 minute classes per week. For the first class of the year, I was keen to do something hands on, but with most of the short first class (~25mins) being taken up with introductions and housekeeping, we needed a very quick challenge that would help to set the tone for the year. Build a Duck is very quick and fun challenge with a deep message. 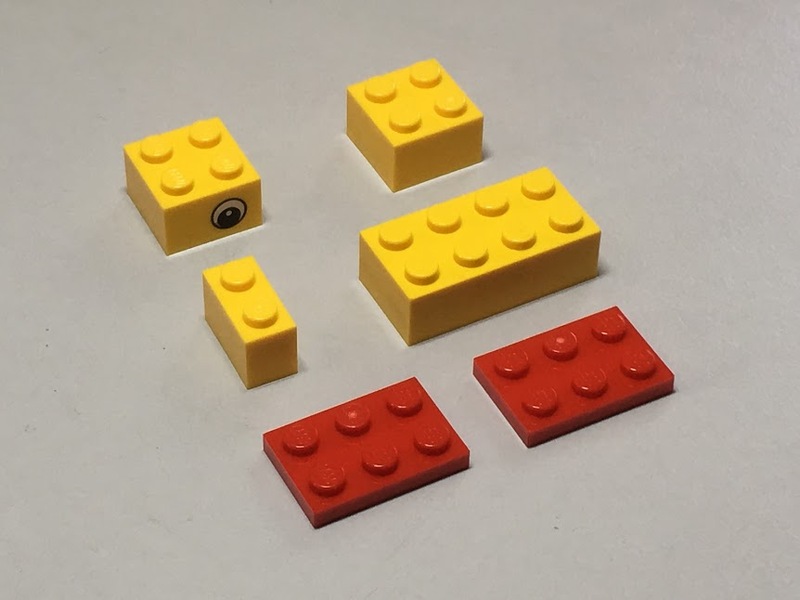 The way it works is that everyone gets the six LEGO pieces shown below, and are then given the following challenge. 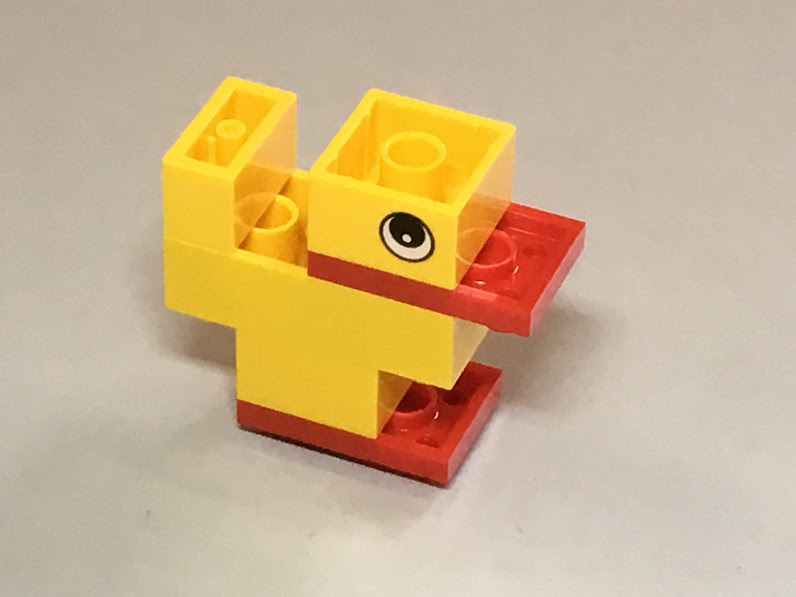 The challenge: Using only these six LEGO pieces, and without looking at what anyone else is doing, build a duck. 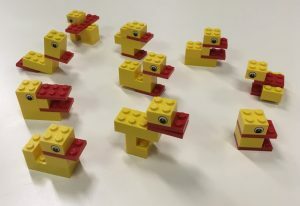 I’ve done this activity a few times, with students and with teachers, and usually give everyone about 60 seconds to build their duck. We then collect all the ducks together at the front of the room, and ask them what they notice. It’s immediately obvious that not all ducks are the same. 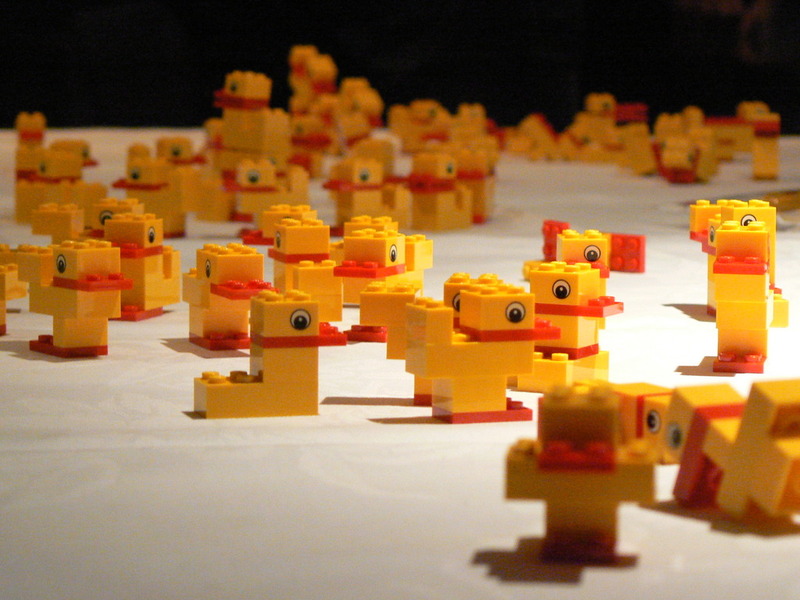 The variety of ducks that can be made from just six bricks never ceases to amaze me. Talking with the students about the results, I emphasise that in my class I value and explicitly encourage diversity of solutions. For example, this year, one student asked if he had to use all six pieces. I don’t recall ever hearing that question before, so I thought that was pretty impressive. I am pleased whenever students are able to think outside the box and push on the constraints of a challenge. LEGO Serious Play Duck polybag 2000416 contains the six parts that I use for the Build a Duck challenge. LEGO Yellow Chick polybag 30451 contains the same six parts and some extras. 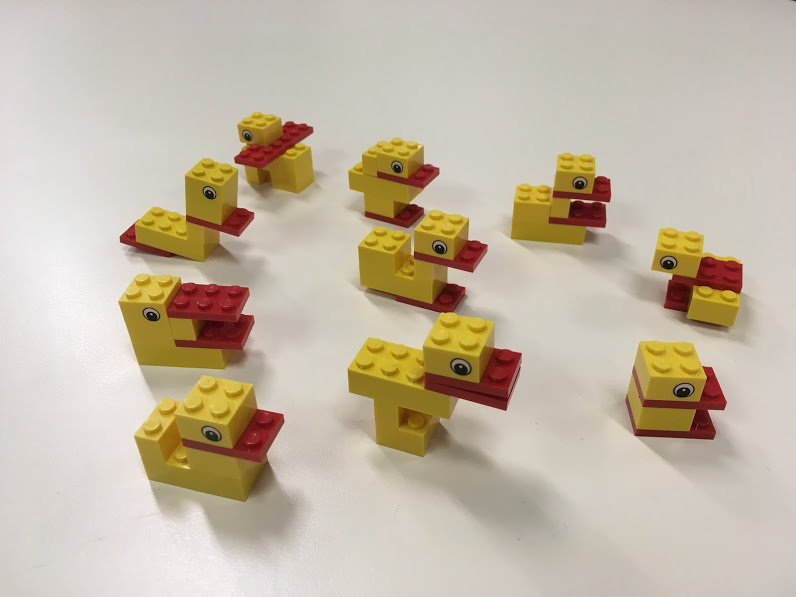 For more on this challenge, check out Aaron Maurer’s blog post The Powerful Learning in Making a LEGO Duck. To start my second lesson (the first with my entire class), I gave them another quick challenge that I use regularly with students of all ages as well as teachers. The challenge: Using just the pieces in the top of the kit (i.e. no electronics), build an animal. You can do this on your own or working in pairs. You’ve got 5 minutes. A simple building challenge like this is a great chance for those who’ve never played with Technic-style LEGO elements to start getting a feel for how the pieces fit together before we get into the robotics. I have two main purposes when I give this kind of challenge. 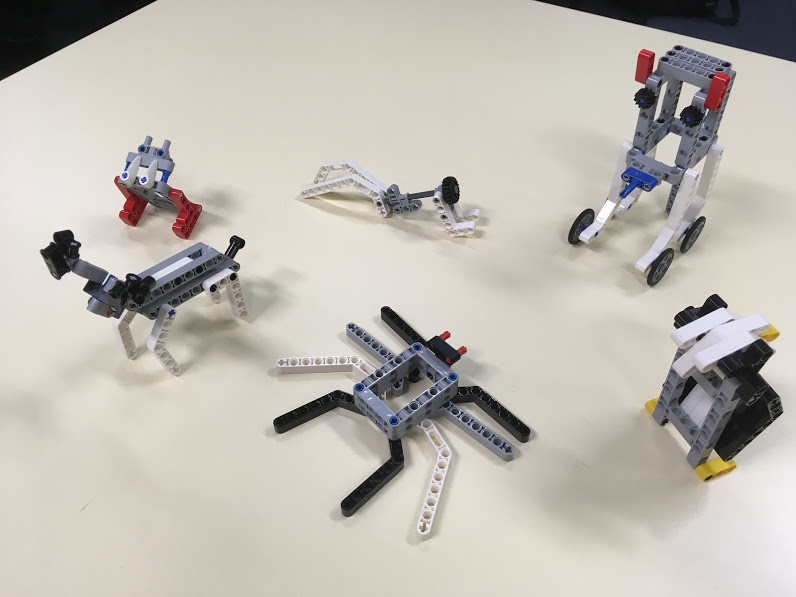 To give students a chance to get familiar with the range of pieces in the kits (and particularly the idea of studless LEGO building) without any pressure to get the “right answer”, before we start working with the electronics and the software. 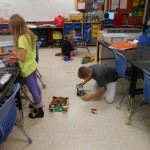 Of course it doesn’t really matter what the students are asked to build, and it certainly doesn’t need to be an animal. As an ice-breaker activity, for example, it can be nice to have the students build something that represents something they did over summer break, a hobby, or any of the following ideas. As a final challenge for this first week, we did one of my favourite introductory activities, Silly Walks. The challenge: Make a robot that moves in the silliest way possible. Because time was short, I framed this is a building only challenge, by loading a *.ev3 project file onto the bricks ahead of time. A few students had previously done this challenge with me as part of a taster day, but were very happy to give it another go. As always, it was a a lot of fun. For more on this challenge, see this Silly Walks post. In addition to the Engineering Design Process, there are a few other ideas or themes, that I like to flag with my students pretty early on in the class. Very few of these are mentioned explicitly in course documents, but they underpin everything I do with my students. I'm a teacher in Tasmania, Australia, and have been using LEGO MINDSTORMS with my students since 2001. 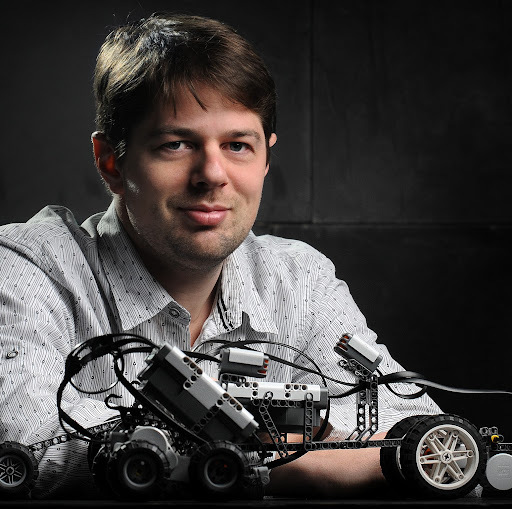 I'm the editor in chief for LEGO Engineering (this site) as well as the content editor for LEGO Education Australia (LEGOeducation.com.au).